Pathology is one of the highest yield sections in Step 1, so make sure you know it inside and out. Not only it will help you in Step 1 but it will help in all USMLE Steps. In my exam I had pathology questions that are direct, some are mixed with physiology and others are an association. What do I mean by direct pathology question? A 58-year-old male presents with difficulties in concentration and worsening insomnia. These symptoms have been progressively worsening over the past month. Startle myoclonus is appreciated on physical examination. Electroencephalography shows biphasic sharp wave patterns. A 72-year-old female present recurrent episode of syncope. On cardiac auscultation, there is a systolic murmur at the right sternal border. What’s happening with her Afterload and Cardiac Output? The answer is: She has Aortic Stenosis. Her afterload is increased and cardiac output is decreased which is why she is having syncope. A 44-year-old male presents with hematuria, flank pain, and elevated blood pressure. On renal ultrasound, his kidneys are enlarged bilaterally. What is this patient risk for? The answer is: The patient has ADPKD and he has an increased risk of having berry aneurysm, diverticulosis, mitral valve prolapse, and hepatic cyst. Now out of all three of these type of question, exam and USMLE World loves pathology associated question. And they are the hardest. You need good practice and resources to master this type of question. Most of you know your material, however, your UW scores are not improving because you cannot connect the dots and make the association. If you want to pass and score high on your Step 1, you must know disease association because that’s what your exam will ask you. Pathoma – Pathoma by Dr. Sattar is a must! I love this guy! He saved my life in many ways. Make sure you buy the pathoma textbook from here and watch all of his videos. I personally read his book twice and watched his videos simultaneously. He is so damn good! He will increase your pathology knowledge up to 60%. So please make sure you watch all of his videos and read his book at least once before going to the exam center. This is a first aid page of Cushing Syndrome. If you carefully look at the findings it doesn’t explain why each of them happens. 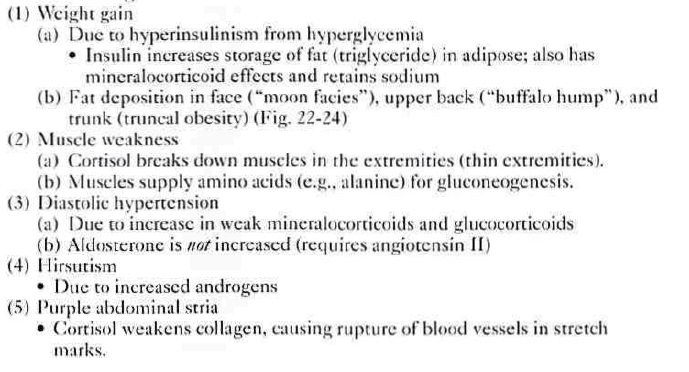 This is a Goljan’s page of Cushing Syndrome and as you can see he explains why each of the findings happen. And this why I love Goljan. Do you get the point? Again if you don’t have his book you can get it from here. Once you are done with Pathoma & Goljan, now you are ready to read First Aid system wise and USMLE World. Make sure you take all of your notes from UW into First Aid and don’t forget to take pictures of all the UW’s amazing figures. Read my post on how to take notes from USMLE World. And keep on reading FA till your exam. Now some of you might ask what about Kaplan Pathology Lecture Notes? You can never go wrong with Kaplan since they been in the business for years. But I personally didn’t like the guy who teaches Pathology in Kaplan videos so I didn’t even bother watching Kaplan’s pathology videos. However, the Kaplan’s pathology lecture notes were amazing. 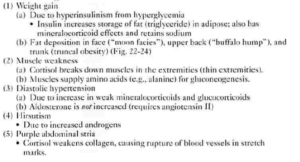 If you don’t want to read pathoma you can read Kaplan’s pathology lecture notes. Since I just listed all the sources for pathology above you might want to know how I got my 266 on Step 1 using those sources. Here is how I did it. First of all, I had the worse pathology teacher during my Basic Sciences so I had to replace him with something right? I watched all of Doctor Najeeb’s video during that time in medical school. Now, while I was preparing for Step 1’s pathology I did not watch him since I already watched him during medical school. During my preparation, I allocated 3 weeks for pathology. During those 3 weeks, I watched all of the pathoma videos and read the book. Next, I read entire Goljan’s book system wise. After that, I read First Aid’s cardiology section and did cardiology UW questions. And then I read the respiratory section and did respiratory UW question. I did this for every single system. By following this method, all the systems will be drilled into your head. Trust me on that. Once you are done with all the systems, now you can keep on doing First Aid and UW till your exam. If you get bored of reading First Aid’s pathology section, just read Goljan and watch pathoma videos again. That’s all I did for my pathology section. My suggestion for you guys would be, you don’t need too many sources for Pathology as long as you stick to what I just told you, you will get a very good score on Pathology. If you need my help or suggestion feel free to check out my one-on-one consulting service where I personally sit down with you on Skype or over the phone and explain to you exactly what you need to do to get a very high score on your Steps. Over the last year using my methods most of my students scored over 240 on step 1.